We were excited to learn that Mayor Tom Henry received the 2019 National Environmental Achievement Award last month. The award was for Local Public Service by the National Association of Clean Water Agencies (NACWA). Mayor Henry was selected for his dedication to protecting water resources, cleaning Fort Wayne’s rivers and reducing energy costs. As project managers, we’ve worked extensively with municipalities, and regularly collaborate with the environmental engineers that have helped make Mayor Henry’s efforts a reality. Walden Environmental Engineers Fort Wayne office was one of the companies behind the scenes working on clean water initiatives advocated by Henry. Together they have successfully brought affordable, quality water to more residents in the greater Fort Wayne area through the acquisition and consolidation of utility systems, public-private partnerships, shared services and interlocal agreements and other efforts. BCS works with Walden Environmental regularly on several municipal projects, and we are thrilled with what they have helped to accomplish. Thanks to Walden and Mayor Henry’s efforts, Fort Wayne and the surrounding areas seeing public health and environmentally-friendly benefits, and the community is also experiencing lower utility rates. 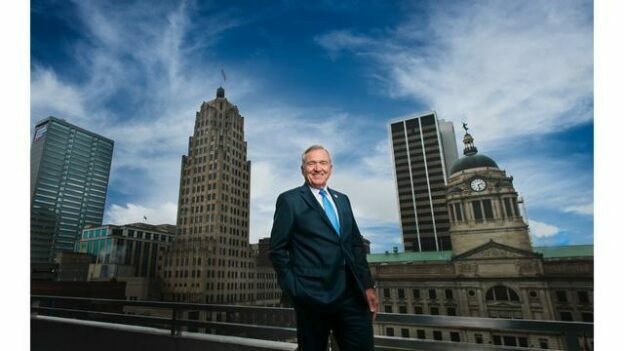 We’d like to congratulate Mayor Tom Henry, our colleagues at Walden and everyone who is helping to make Fort Wayne a more environmentally-friendly place.